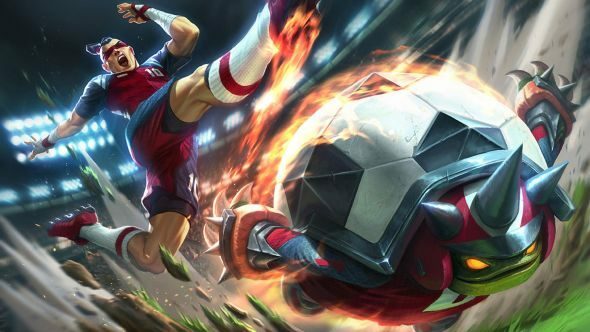 League of Legends’s next big content patch is 8.12, introducing new items for fighters, as well as a host of balance and bug fixes. Currently, those seem to be centered on tanks, with a suite of tweaks to Ornn and Sejuani, but they could be added to before the patch goes live. The most important changes are the new items though – both Hydras have been changed, but there are two interesting additions in the form of Atma’s Reckoning (a throwback to a long-defunct item, Atma’s Impaler) and Spear of Shojin. The two items both give fighters some extra options into the late game, without having to rely on building tank items. There are also new skins, of course. Dark Star Cho’Gath joins the abyssal skin line for a limited time, with 100% of proceeds being donated to charity. 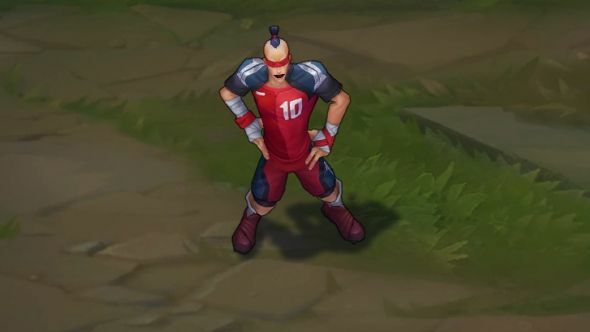 Also here for a limited time are Playmaker Lee Sin and Sweeper Rammus, arriving just in time for the 2018 Football World Cup, which begins in June. We don’t know the exact release date for patch 8.12 yet, but the schedule is bi-weekly so expect it on Wednesday June 14. We’ll update when Riot do, but keep an eye on the server maintenance page for the latest updates. Base movespeed (human) increased to 330 from 325. Base movespeed (spider) increased to 355 from 350. Damage increased to 60/105/150/195/240 from 55/95/135/175/215. Attack damage growth decreased to 2.5 from 3.11. Base armor decreased to 22 from 25. Shield duration changed to [decays over 5 seconds] from 5 seconds. Shield duration decreased to 2.5 seconds from 4 seconds. Attack speed growth increased to 3.5 from 2.5. Bonus attack speed increased to 25% from 10%. Damage increased to 80/100/120/140/160 from 65/85/105/125/145. Cooldown decreased to 12 at all ranks from 14 at all ranks. Damage increased to 80/120/160/200/240 from 70/105.140/175/210. Shield duration decreased to 2.5 seconds from 6 seconds. Cooldown decreased to 8/7/6/5/4 seconds from 9/8/7/6/5 seconds. Bonus AD ratio increased to 90% from 80%. Base health regen increased to 7 health per 5 seconds from 5 health per 5 seconds. Base mana increased to 415 from 380. Base armor increased to 45 from 42. Base AD increased to 62 from 60. AP ratio increased to 50% from 40%. Shield strength increased to 100/130/160/190/220 from 80/110/140/170/200. AP ratio increased to 35% from 30%. Damage per second increased to 140/210/180 from 130/185/240. Max damage against monsters decreased to 300 from 400. Mana cost decreased to 65 at all ranks from 80 at all ranks. Now adds 20% AP ratio on flail swing. Now adds 60% AP ratio on flail lash. Damage increased to 30/45/60/75/90 from 20/30/40/50/60. Base AD increased to 58 from 56 (hotfix). Damage vs champions decreased to 50% for rocks beyond the first from 60% for rocks beyond the first. Dash AP ratio decreased to 20% from 30%. Base AD increased to 63 from 60. Cooldown decreased to 7/6.25/5.5/4.75/4 seconds from 7/6.5/6/5.5/5 seconds. Heal and shield power decreased to 8% from 10%. Unique passive premitigation damage increased to 35% from 25%. Cooldown reduction decreased to 5% from 10%. Heal and shield power decreased to 5% from 8%. Shiled duration increased to 5 seconds from 3 seconds. Heal and shield power decreased to 15% from 20%. Unique passive – Giant Strength: Gain 50% of your base AD as bonus AD. Movement speed decreased to 1.5% from3%. Adaptive AD increased to 9.6% from 4.8%. Adaptive AP increased to 16% from 8%. Attack speed increased to 75-125% from 50-100%. 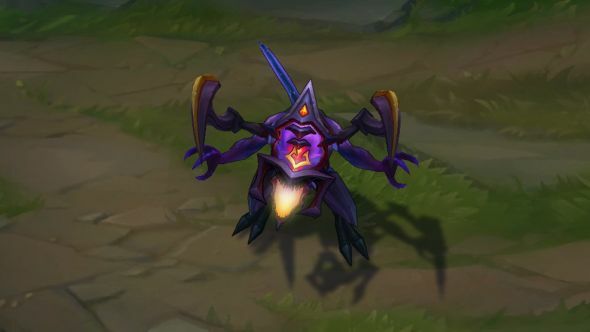 Dark Star Cho’Gath was built in collaboration with the recipient of a wish from the Make-a-Wish foundation. The skin (and any related items) will be available for a limited time, with 100% of the proceeds going to charities around the world during that time. Each patch has its own login screen with unique music. They’re always fairly excellent, though 8.12’s hasn’t appeared yet – expect it in the next week or so. 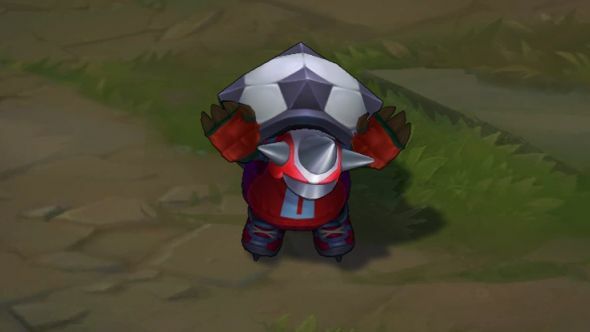 It will likely be based around Dark Star Cho’Gath and the World Cup skins. That’s all the major changes in League of Legends patch 8.12 covered, but we’ll see you again for patch 8.13 in a few weeks.